I spent the last week with either the worst cold ever, strep, or walking pneumonia - the jury's still out on that one. But I definitely picked the best week be stuck at home because I totes binge watched the Olympics and Veronica Mars (who wants to go see the movie with me, besides Jake?). 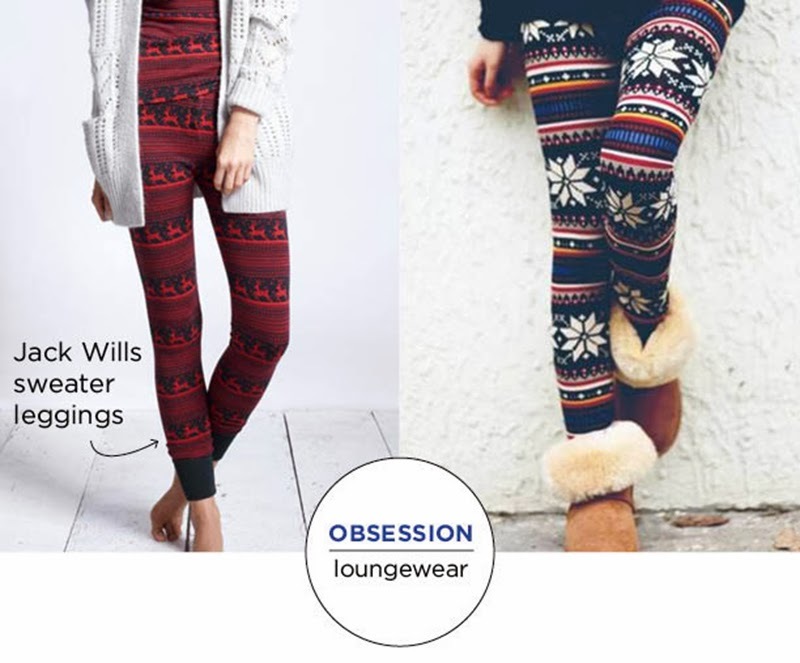 I also lived in leggings similar to these from Jack Wills (I call them sweater leggings for lack of a better phrase). Like I think I wore them for three days straight, disgusting, I know. In addition to the baggy sweater, something I excel at is loungewear. I can rock some barely acceptable to leave the house in leggings and Uggs boots (I don't actually leave the house like that I promise) like its my job.